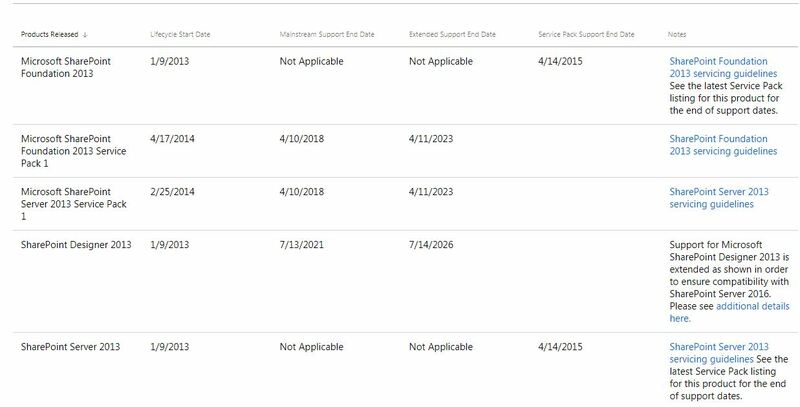 I would like to know when will the support period for sharepoint 2013 end, we have a 2013 farm in production right now, and we are evaluating if it's worth upgrading to the 2016 version. One of the important points to evaluate it's the support period for this product. Not the answer you're looking for? Browse other questions tagged 2013 sharepoint-enterprise sharepoint-server or ask your own question.